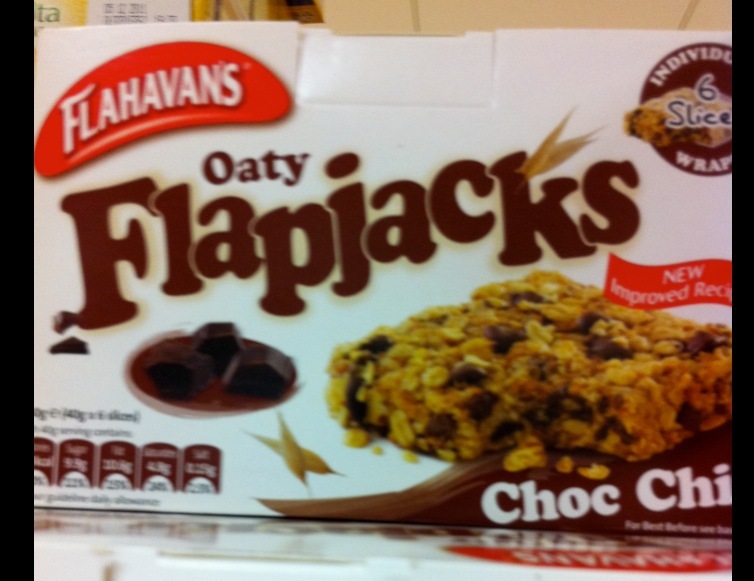 Take a shedful of oats and a heap of product innovation..
blah, blah, blah “innovation/innovative”. One of the top 10 buzz words bandied around in all business sectors (and by all semi-state support agencies) all of which have ceased to make an impact on me due to overuse. But instead watching the shelves of small food retailers you can see actual product innovation in action and it is a delight to witness because those new products will drive turnover, profits and survival. Oats. Porridge. Traditional. Boring. Wholesome. What a great place to start :-). This crop should be dead in the water, relegated to the breakfast bars of the old, infirm and incarcerated. However take a look at what a variety of producers have been doing with their oats. 6 generations old and still a legend amongst food producers. I met Mary Flahavan at the Waterford Festival of Food in Dungarvan and then with a couple of their marketing team at a Bord Bia event in Cashel. Very impressed with the people I met and it explains why they have been able to move beyond their traditional product. This is it. The raw material and the product. And this is the first twist which caught my eye – moving from cereals into the (somewhat) healthy snacks category which targets school snack boxes I assume. Both these and a non-chocolate version are delicious :-). Good packaging design which carries through the original logo and uses bold photography and strong messaging. Inside are 6 individually wrapped bars. The second shows the power of partnership – with this 6th generation artisan producer working with a global dairy giant to cater for a growth space in cereals – ready to eat. Good article in Shelflife here on this product range. Externally this does not look like innovation – its another identical product (even if organic) for consumers to choose from. However the innovation here can be seen from the other side and is directly connected to Flahavans. 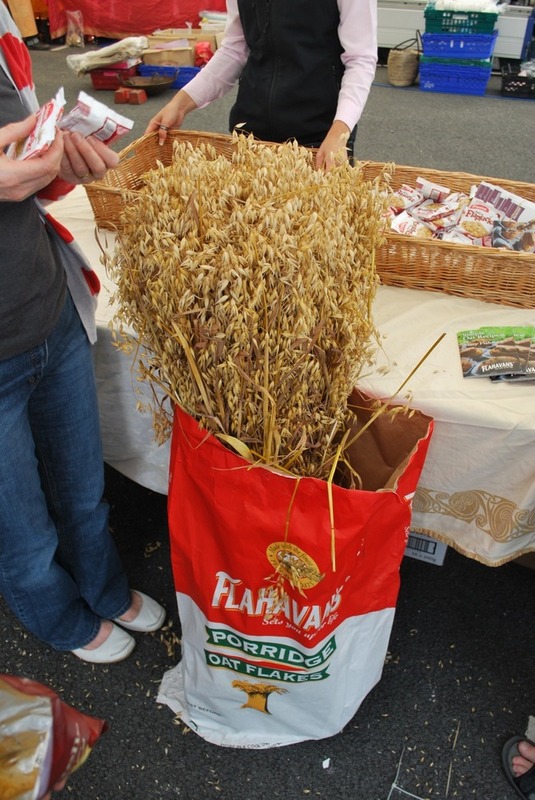 Pat Lawlor is a supplier of organic oats to Flahavans where his crop gets blended with other oats. 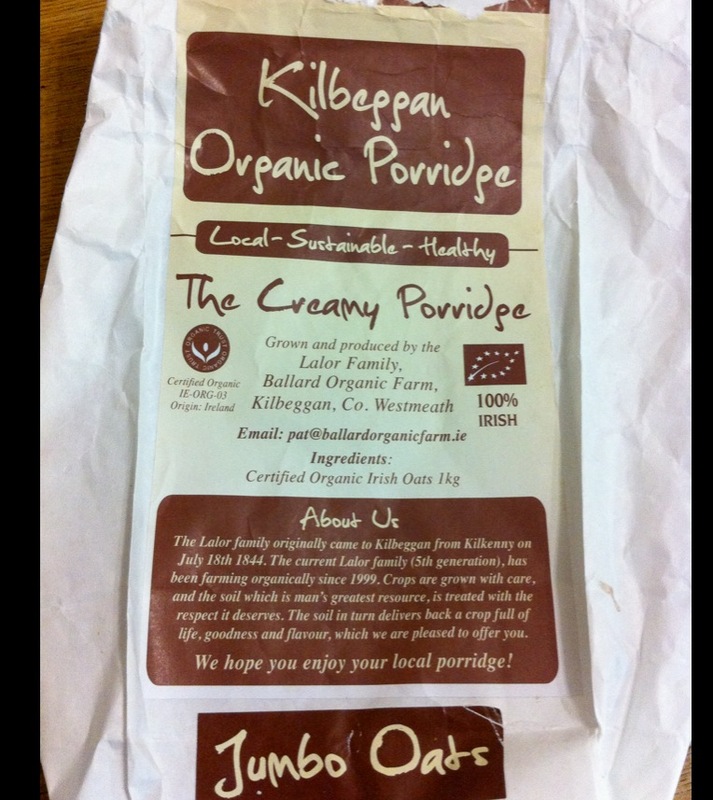 In January this year (2011) he took the bold step of launching his own brand and he has diverted some of his production into the Kilbeggan Organic Porridge bags. 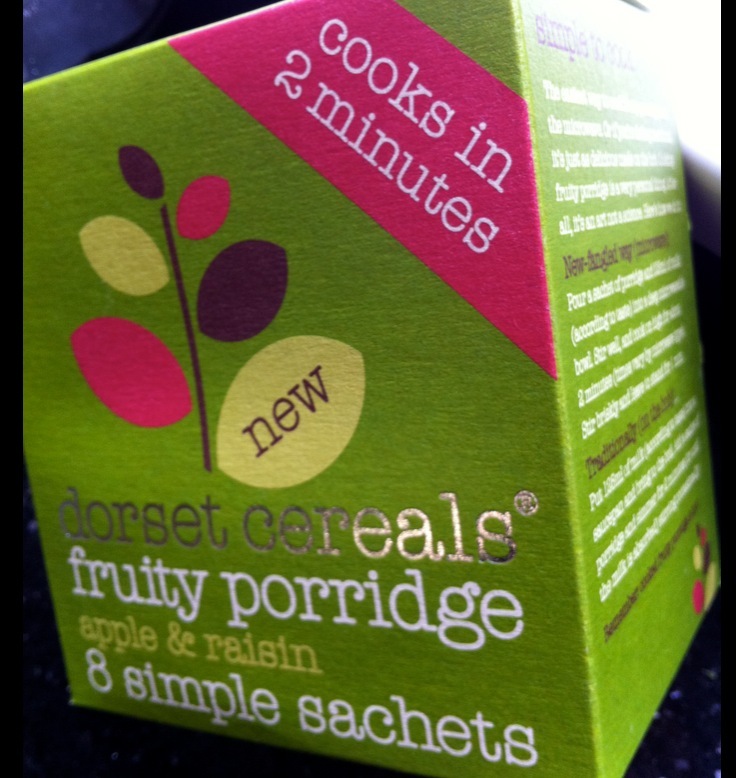 Picking up on the Ready to Eat/convenience trend in the cereal space we can find a different approach from this UK based business. Their product range is massive but this one caught my eye. The strong colours, catchy graphics and large fonted simple text worked really well for me. Taking the standard product, reworking it with some added ingredients and doubtless bumping up gross margins. Another UK based business and a product back on the snack side – but this time a more adult version. Or certainly not a school bag lunch treat. 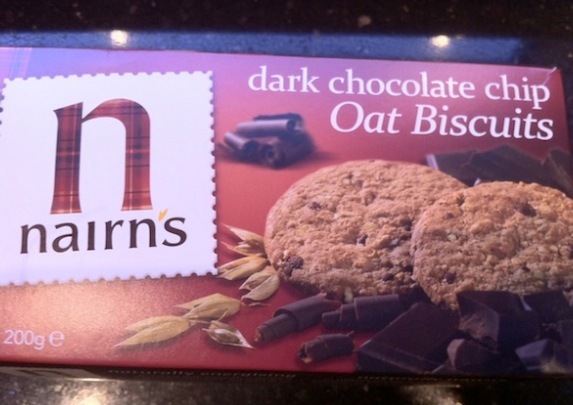 The Nairn’s oat biscuits are a natural extension from Oat Cakes but look at this packaging and design – lifts it straight into a luxury space. This is a newly emerging redesign of this range for them – there are a mixture of it and the older designs still kicking around. Have to include at least one product here which you are mostly likely never to have heard of :-). 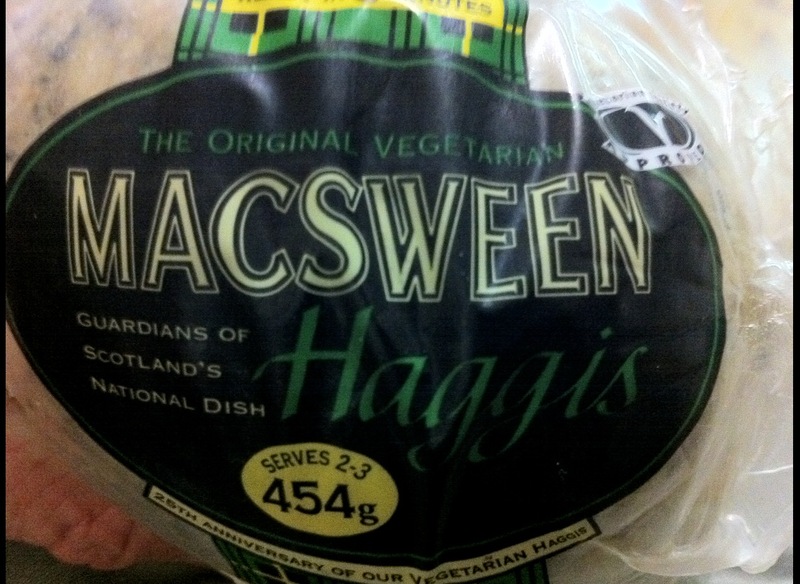 MacSween have been making Haggis for over 50 years and in 1984 they introduced this Vegetarian Haggis which includes the core ingredient of oats together with a multiplicity of others. It’s delicious. Not that I have compared it to the original. A more recent development is their 1 minute haggis – two slices of tasty vegetarian haggis in a unique microwavable pack. For the last example we are leaving these Islands and moving north to Scandanavia – specifically to Sweden. Another model behind this range of products – a research collaboration with Lund University in Sweden. I wonder are their research projects in Ireland at present which would lead to such a strong and unique business being launched? 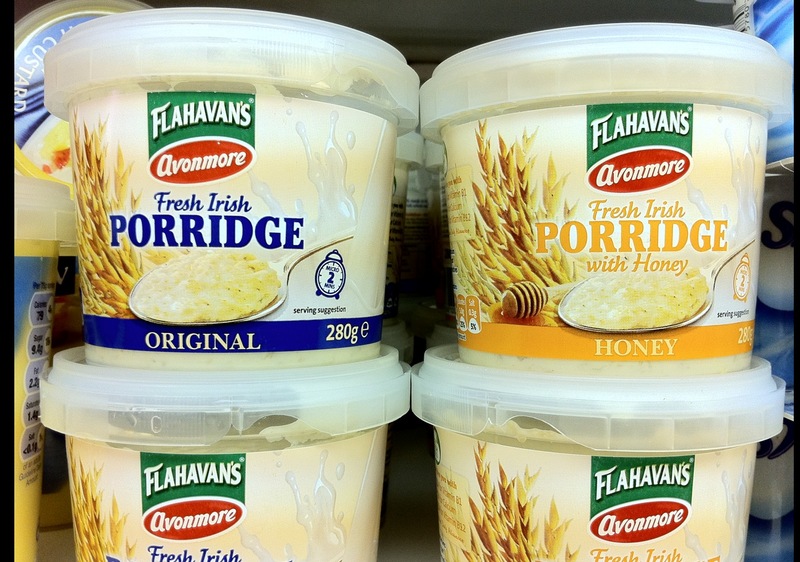 We may well have a dairy heritage but there is no reason why Ireland cannot innovate in the same way and tap into strong emerging trends internationally which demand slightly different approaches to consumer products. This is a full range of foods and drinks which are in the “dairy milk substitute” category. 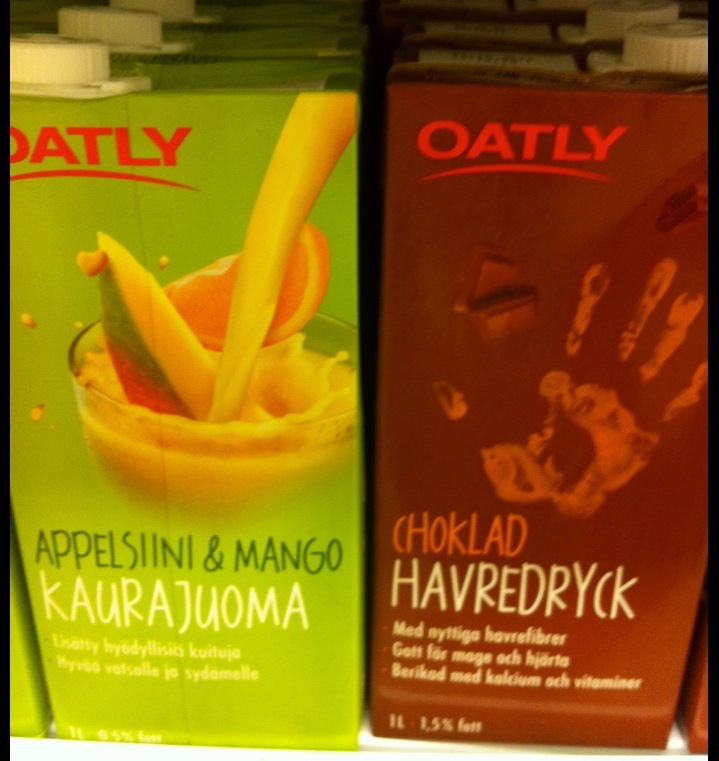 The photo below shows a couple of examples from a Coop store in Stockholm I visited recently while the first product I came across from Oatly was a one litre tetrapak Oat Milk. I hope you enjoyed reading this as much as I did writing it – I have been saving up oat based products for a while to include in this (and because of my artisan leanings I have ignored obvious examples such as the Weetabix Oatabix range). There is a world of opportunity out there which do not necessarily need farmers to change the crops they are traditionally growing – instead it needs imagination and investment in developing partnerships or new consumer brands from scratch. That stuff is not easy – in fact it is really difficult to do well. But if the alternative is stagnating markets and declining profit margins (or higher losses) then it is good to see what can be achieved. If your fancy has been tickled then check out the Bord Bia Foresight Program which supports new product devleopment.